Two decades ago, a Thai gardener climbed into the palace of a Saudi prince through a second-story window, busted open a safe with a screwdriver and stole some 200 pounds of jewelry. 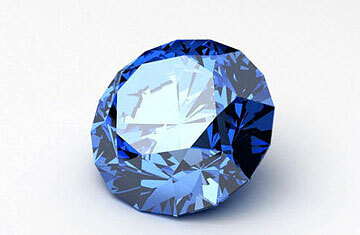 The former Saudi chargé d'affaires in Bangkok told the Washington Post that the gardener stuffed "rubies the size of chicken eggs" in his vacuum-cleaner bag, along with a huge, nearly flawless blue diamond, which at 50 carats would be one of the largest blue diamonds in the world. Or at least that's how the story goes, according to the local Thai press and the old chargé d'affaires. Thailand's Department of Special Investigation (DSI), which is similar to the FBI, says it has no evidence to confirm the facts of the case  and doesn't even know whether the blue stone that's said to be larger than the Hope Diamond exists. What is certain is that the alleged theft eventually cost Thailand billions of dollars, left people dead in its wake and put an Elvis-impersonating Thai official on death row. More than 20 years later, the ripped-off Saudis still want their jewels back, and relations between the two governments remains strained. In January, five Thai police officers were arrested and charged for a murder that is allegedly connected to the case, raising hopes that some of the questions surrounding what has come to be known in Thailand as the Blue Diamond Affair would finally be answered. For Thailand, it could mean improved diplomatic relations with Saudi Arabia, potentially returning hundreds of thousands of jobs in the oil-rich nation to Thai migrant workers. But since Thailand's statute of limitations lapsed in February for murders allegedly linked to the heist, the Thais are running out of options. It will now be up to the Saudi government to decide if Thailand's last-ditch efforts are enough to normalize relations. After the 1989 jewel heist, the gardener, Kriangkrai Techamong, airmailed the loot to his home in northern Thailand and hightailed it back, according to reports in the local press. After the Saudi government gave Thailand the tip about Kriangkrai, it didn't take long for Thai police to arrest him, but not before he allegedly sold some of the priceless jewels for a mere $30 an item. Soon after, three Saudi diplomats in Bangkok were shot execution-style in two different attacks on the same night. Two days after that, a Saudi businessman was kidnapped and never seen again. Though the DSI insists there's no proof that the murders and kidnapping are connected to the theft, the former Saudi chargé d'affaires, Mohammed Khoja, was adamant, telling the Bangkok Post in 1995 that the murder case and heist were linked. Despite the deaths, the Thai police tried to return the gems that weren't yet sold by Kriangkrai in an official visit to Saudi Arabia, hoping it would end the scandal. It didn't take long, however, for Saudi Arabia to claim that most of the returned goods were imitation baubles. To add insult to injury, the local press reported rumors of photos of the wives of bureaucrats wearing new diamond necklaces at a charity gala, ones that were awfully similar to the ones taken from the Saudi royalty. Needless to say, Saudi Arabia was not amused. In June 1990, the country would stop renewing the visas of more than a quarter-million Thai workers in Saudi Arabia and would give out no further ones, cutting Thailand off from billions of dollars in remittances. Saudi Arabia also barred its citizens from traveling to Thailand as tourists. Nabil Ashri, the current Saudi chargé d'affaires, said the decision to downgrade relations was "obviously for safety reasons and due to repeated failures of the Thai authorities to adequately solve or explain any of the cases to Saudi authorities." Under pressure from Saudi Arabia, Thailand continued to investigate the case, though maybe not in the way Saudi Arabia had hoped. In 1994, a Thai jeweler, whom Khoja believed was behind the imitation jewels, was kidnapped, and then his wife and 14-year-old son were killed. At the time, the Thai police said the two died in a car crash, but Khoja was not convinced. The Washington Post quoted him as saying, "The forensic commander thinks we're stupid. This was not an accident." Only a few months afterward, Chalor Kerdthes, the police officer who had headed the initial investigation and handed over the fake gems to Saudi Arabia, was arrested by Thai police and charged with ordering the murders of the jeweler's wife and son. The high-ranking police officer fought the charges until the Thai Supreme Court upheld his death sentence in October 2009. Chalor remains in prison, where he has put together a band and recorded a Thai cover of Elvis Presley's "Jailhouse Rock." Chalor has maintained his innocence, telling the Times of London, "Not all people in jail are guilty." It's no wonder that after all the deaths, Khoja said there was a hex on the blue diamond and that anyone who illegally handled the mysterious stone would be cursed  something many Thais still believe. Further complicating the mystery, the U.S.-based Foundation for Democracy in Iran claimed in a 1996 report that the 1990 murders of the Saudi diplomats were the result of Iranian hit squads. The DSI, which took over the case from the Thai police in 2004, said any Iranian connection to the murders is only a rumor. But a 2009 arrest warrant for an "Abu Ali" for the murder of one of the Saudi diplomats has fueled speculation on message boards and in the blogosphere of Middle Eastern involvement. Despite having little concrete evidence about Abu Ali, a DSI team headed to Interpol headquarters in France at the end of January to ask the international police organization for help with apprehending the suspect. Charging five current or former police officers for the murder of the Saudi businessman who disappeared in 1990  along with the subsequent trial, slated for the end of March  represents the best chance in years to put an end to the long-standing row. All five officers, however, deny the charges and have vowed to fight them in court. The highest ranking of the bunch, Somkid Boonthanom, has blamed politics for the arrest, telling Bangkok's the Nation that he witnessed "outside factors intimidating and pressuring" the prosecutors. So far the two-decade-old whodunit reads like a paperback thriller, but it remains to be seen if the story will be neatly wrapped up in its final chapters. Ashri said that if the case were solved, Saudi Arabia would "have to seriously consider restoring relations" and that he was pleased by the recent "serious efforts from the Thai government." Still, with the statute of limitations expiring, pressure falls on the upcoming trial to reveal the secrets behind the Blue Diamond Affair. Saudi Arabia will have to decide soon if Thailand's last-minute show of effort is enough, or if the curse of the blue diamond will haunt Thai foreign relations for years to come.